Even before Summer officially began last month, it has been a scorcher here in Memphis! Occasionally a thunderstorm would strike and save us from misery for a day or two. (Yippee for rain!) Believe it or not, for a dessertie like me, the weather influences my decision in ordering between a chocolate dessert and non-chocolate. Hot outdoor temps equates to chocolate eaten indoors or braving it in the heat. I’ll show you exactly what I mean later. Should you choose to remain outside, you’re sooooo not letting the weather spoil your day or be limited in your dessert choices. The only real consequence is the shorter time frame to indulge before a heaping mess sets in. But really, it’s no big deal, right? Of course, you could always play it smart by eating a summer dessert like this one. 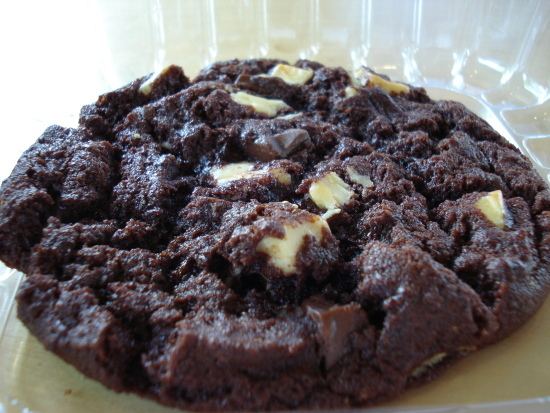 Or a cookie like this here. Buy ’em both at The Fresh Market. I just checked their website. Locations are in the right half of the United States only. Sorry Westerners, but you’re missing out! 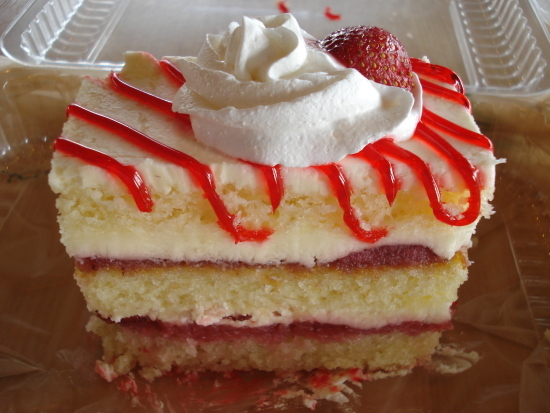 just ate a strawberry napoleon from fresh market…delishhhh. 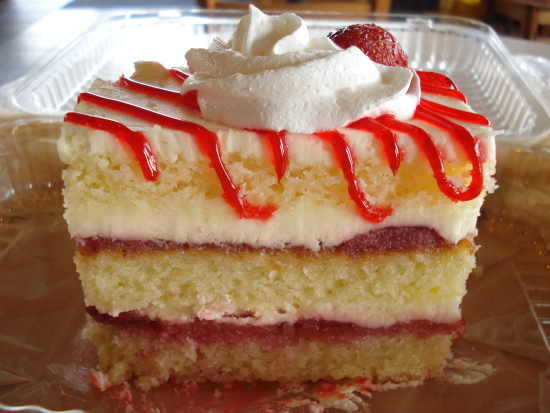 It’s not too sweet like a sugary cake. It’s very light and refreshing. Loved it. I would like the recipe.